A simple Dutch Christmas greeting may tell more about the sender than you realize. If your Dutch relatives wish you Zalig kerstmis or Zalig kerstfeest (blissful Christmas) they are almost certainly catholic (or at least live in a region that is mostly catholic). If you receive a Christmas card with the text Gezegende kerstdagen (blessed Christmas days) you may safely assume that the sender is protestant. This distinction seems to be disappearing, though, and nowadays nearly everyone will wish you Prettige kerstdagen (pleasant Christmas days) or occasionally Prettige feestdagen (pleasant holidays). New year's wishes are simpler. Most common are Gelukkig nieuwjaar (happy new year) and De beste wensen voor het nieuwe jaar (all the best for the new year). The latter is sometimes shortened to De beste wensen (all the best). Less common (and somewhat archaic) are Voorspoedig nieuwjaar (prosperous new year) and Veel heil en zegen in het nieuwe jaar (much hail and bliss in the new year). My wife and I wish everyone who celebrates Christmas Prettige en gezegende kerstdagen and Zalig kerstmis, and everyone who celebrates something else Prettige feestdagen. 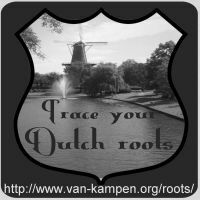 Trace your Dutch roots will take a break and return mid January. Thank you for reading the website, blog or newsletter in 2008, and I hope to see you all next year. Gelukkig nieuwjaar! Zalig kerstmis and Gezegende kerstdagen to you and your family! Fascinating little tidbits - thanks! Maybe I'll give some mini-French lessons over at my blog!